Our youth journalists are a savvy group of young professionals who have had their work featured in The New Yorker, World Changing, National Geographic Traveler, the Huffington Post, World Politics Review, CNN, the Earth Island Journal, ItsGettingHotInHere, Solve Climate, and other on- and off-line publications. Project Survival Media journalists have also worked in close partnership with 350.org, TckTckTck, Avaaz, the Indigenous Environmental Network, the Energy Action Coalition, and Tar Sands Action to stop the Keystone XL Pipeline. 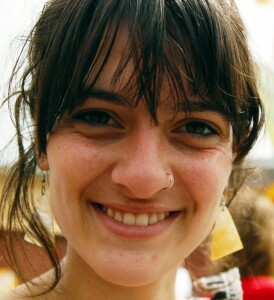 Shadia Fayne Wood is the founder and Director of Project Survival Media. She became an advocate for justice and the environment at an early age. When she was just seven years old, she got involved in a campaign to address the cancer cluster in her community that was caused by nuclear waste. Though young, she was driven to spearhead what would become a successful eight-year campaign to pass state legislation to refinance the Superfund Program in New York State. The bill passed into law in 2003 and in recognition of her efforts, she received the prestigious Yoshiyama Award from the Hitachi Foundation and the Brower Youth Award from the Earth Island Institute. After graduating high school, Shadia worked for the Environmental Justice & Climate Change Initiative as the youngest Campaign Coordinator in the Energy Action Coalition. She was featured in the 2007 Green Issue of Vanity Fair and is a recipient of Elle Magazine’s 2008 Green Awards. 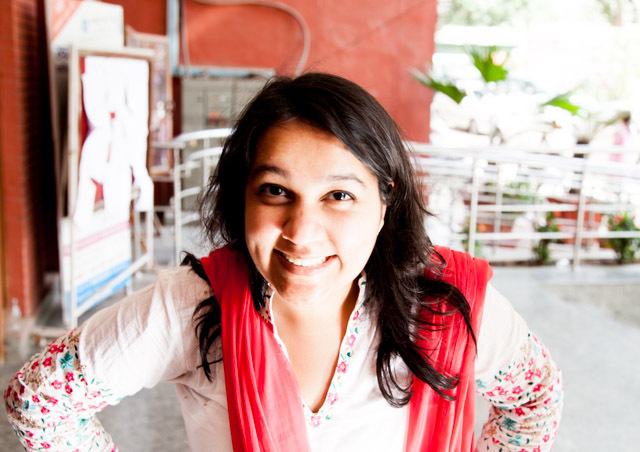 She has managed media teams for all national summits on climate change Power Shift ‘07, ‘09, and ’11 and coordinated the media team for the Youth Delegation at UN Climate Negotiations in ‘08 and ‘09. 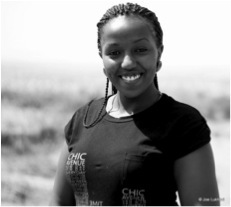 Caroline Wambui Giochobi is an Environmental Science graduate from Kenyatta University, Kenya. She is a keen environmentalist with a specific interest in climate change, and is currently undertaking her masters in Environmental Sciences, water and aquatic systems. Caroline has been on the forefront of environmental activities in Kenya, heading Sustainable Africa Youth Foundation (SAYF), which promotes environmental awareness among youth through cartoons and films distributed all over East Africa. During the CoP 17, she actively worked with PSM, finding, writing, and sharing stories about climate change negotiations. She has also been involved in the National Environmental Management Authority (NEMA), working on public participation in decision-making on matters regarding climate change. 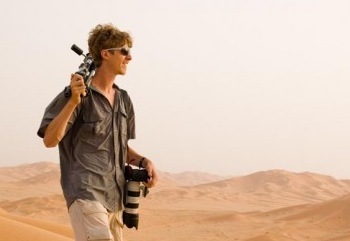 Professional photographer, Robert van Waarden is helping coordinate and launch Project Survival Media’s agency for hire, a service that allows movement organizations to easily hire a media professional who is also passionate about climate change issues. Robert uses his photography to help broader audiences visualize a sustainable world and is most often found documenting climate change issues. He has spent the last five years following the trail of climate change impacts on human rights, adaptation mechanisms springing up around the world, and the social movements dedicated to building healthier communities. He has photographed four UN summits on Climate Change, wind energy across the globe, coal plants in Tennessee, villages in the Arctic, climate summits in Washington, DC and protests in South East Asia. His clean and traditional style has appeared in major national and international outlets including National Geographic Traveler, CNN, Canadian Geographic, the United Nations Environment Program, and numerous other magazines, NGO’s and non-profit publications. 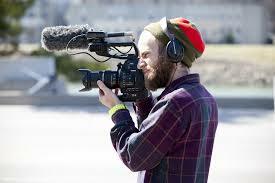 Bunker Seyfert is a documentary cinematographer who has focused on the climate change movement for over five years. Starting with the annual United Nations climate change conferences in Mexico and South Africa, he has traveled globally to support the movement. Most recently he traveled across the United States documenting extreme energy extraction in West Virginia and Texas, along with community solutions to combat the fossil fuel industry. Meeting frontline communities affected by climate change, Bunker gained greater understanding of the severity of this pressing issue and the importance of media in sharing these stories. His film career began in Philadelphia working with a range of local organizations, including one short featured on the National Geographic channel. After moving to New York, he started working for 350.org, GreenPeace, and a number of documentary production companies and environmental organizations. His latest feature film, Nicotine Bees, was distributed by the Sierra Club to each member of Congress in an effort to uncover the mystery behind recent massive honey bee die-offs. Now living in California, Bunker is finishing up his next feature film on the Commons and documenting many exciting solutions enacted by local Oakland organizations. He finds that there are more solutions in this world than problems, it’s just a matter of sharing them.